My dad celebrated his 60th birthday last week... on April fools day!!! and Simon says Stamp also celebrated their birthday... their 6th birthday!! YAY!!! so I thought this image by tiddly inks was perfect!! That button is really cool! Great card! Thanks for joining us at Tiddly Inks. Very fun birthday card, Grace - I love your varied banners! Thanks for celebrating our birthday with us at the Simon Says Stamp Wednesday challenge! Happy Birthday SSS! They are one of my favorites as is Tiddly Inks. 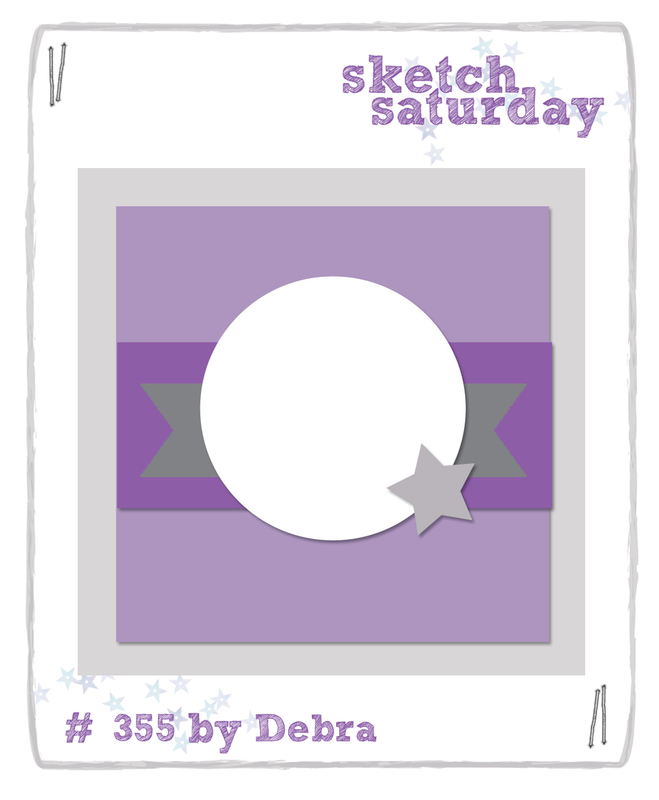 So glad you used our Sketch Saturday layout to celebrate. The design paper looks really cool with the sketch too. Take care and good luck on your entry. This is so so cute!!!! Thanks for joining us this week at Sketch Saturday. Hope your dad had a great birthday! Fab card. I love the banners. Beautiful card, I love the banners. Thanks for playing along with us at Tiddly Inks. Hugs Babi.